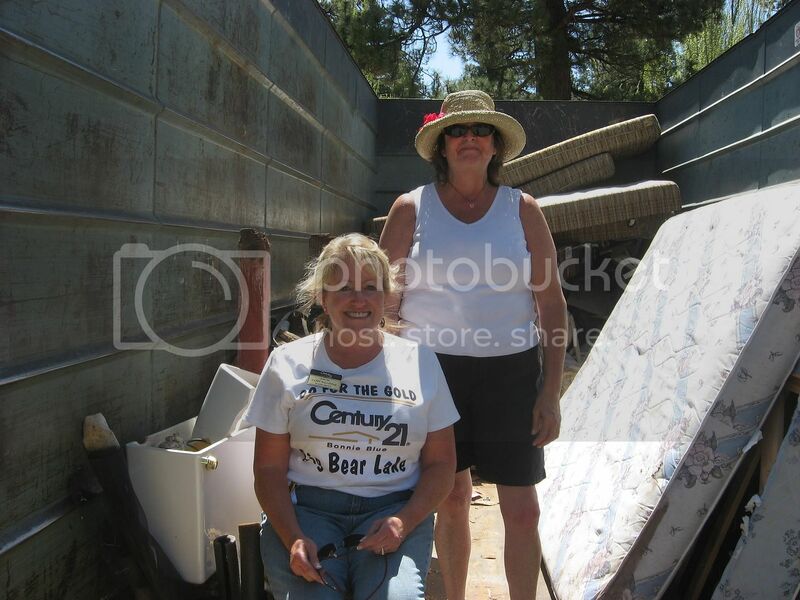 Above: Candy and Kathy in one of the dumpsters–sitting on the can! So, this weekend has been pretty busy so far. Candy and Kathy have found themselves to be very busy with people bringing items for the dumpster day. Above: Up the street Ronnie is having a “man stuff” yard sale. I found a great construction lamp set that will work for my videocast lighting. Great deals if you need tools or odds and ends for your shop or projects. Just next door to my place I scored a great hat at neighbor Barbara’s yard sale–she has some great stuff up on Brookside and Garden if you want to cruise by. I also stopped by to meet Thomas who was working behind the scenes at the Fawnskin Post Office. He said the Saturday window hours are from 8:30m until 10:30am but if he is still working at putting up mail he would be glad to help you anyway. 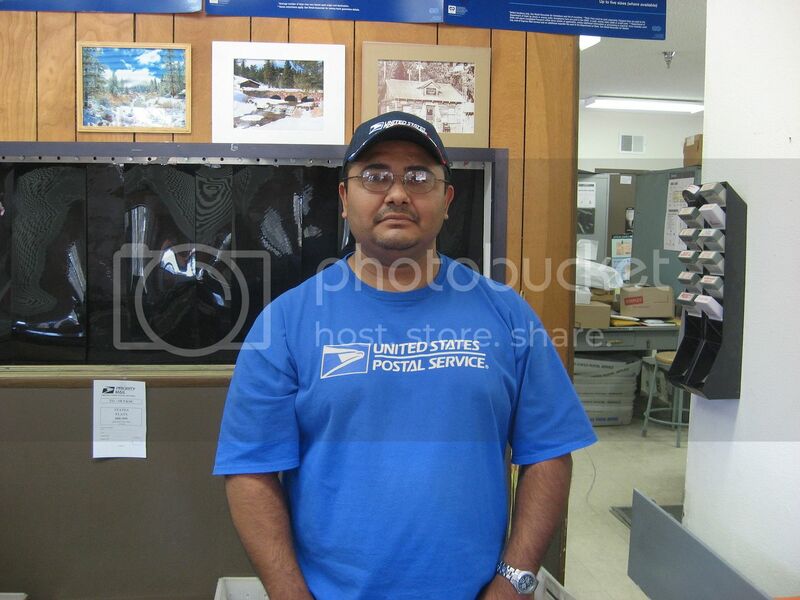 Thomas has been a Fawnskin resident since last July and began working in the Fawnskin Post Office in February. 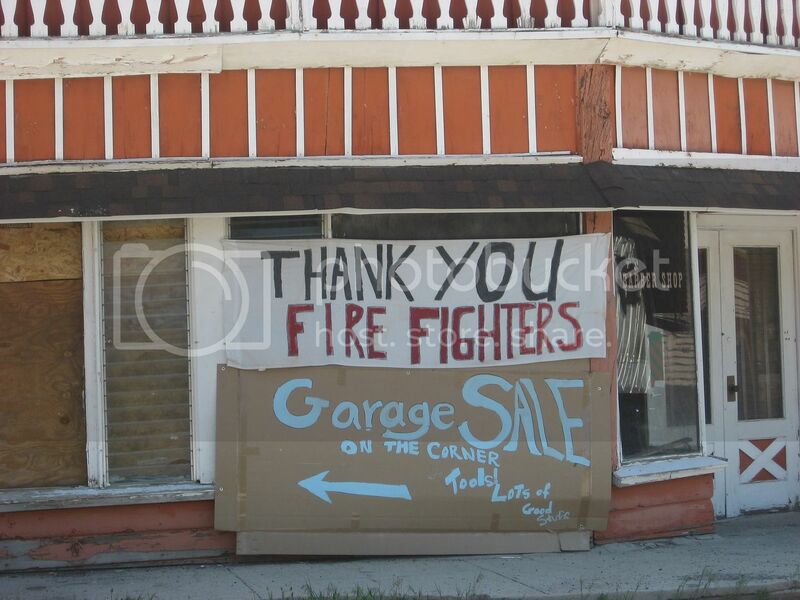 This entry was posted on Saturday, May 16th, 2009 and is filed under Events, Mountain Lake Resort.